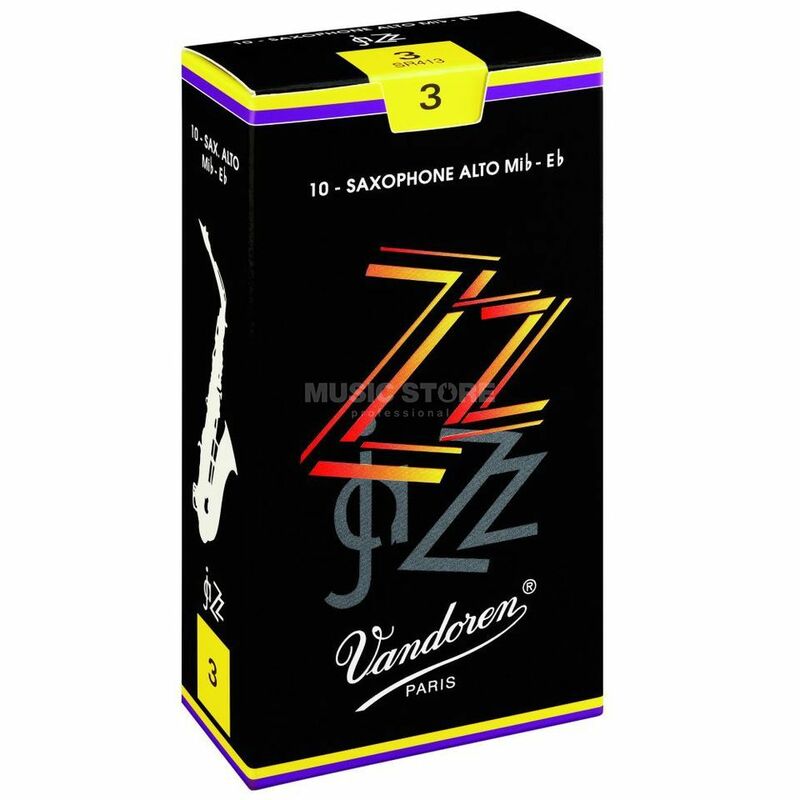 The Vandoren ZZ Eb Alto Saxophone Reeds 2.5 Weight Box Of 10 is a set of 10 reeds for Eb-alto saxophones, featuring a fast and direct attack point, a rich and colourful sound, and a 2.5 strength. The VANDOREN ZZ Alto Saxophhone Reed does not only convince with a rich and colourful sound; it also has an open and free feeling of playing. Because of a new created cut a faster and very direct attack point is possible.